White Chocolate Peppermint Martini is a Christmas special martini. 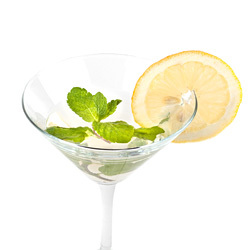 This recipe is very similar to white chocolate martini except that it uses peppermint schnapps to add refreshing mint flavor to its sweet taste. Christmas and New Year celebrations are not complete unless you have enjoyed this drink. 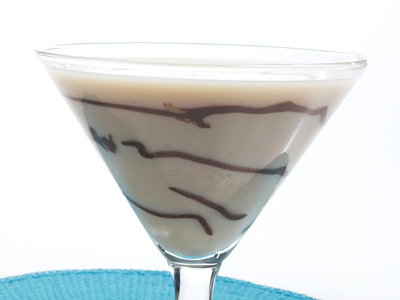 Garnish chilled martini glass’s inner wall with melted chocolate and put it in freezer while you prepare the drink. Strain and pour mixed drink in chilled garnished glass. Sprinkle dark chocolate bar shavings on top and serve. Use half-and-half (half milk, half cream) to make less creamier drink. Use chilled ingredients to make best results. Serving Ideas: Served it as a dessert cocktail.